MCN understands three Hein Gericke shops are still open for business following a call this morning. Those shops are Glasgow, Stockwell and Farnborough. It still seems that vouchers are not going to be honoured even in stores that are open for business. Anyone who bought vouchers on a credit card is advised to contact their credit card company as a refund may be available. Hein Gericke has gone into administration with the closure of all 16 remaining UK stores; the second time financial troubles have struck the clothing and accessory retailer in 16 months. Hein Gericke staff were all told to go home by administrators and advised they were no longer employed by the company. The administrators then moved in to close the shops that were still run under the Hein Gericke brand following a buyout in October 2012. The website has now gone offline ‘for maintenance’. Of serious concern to UK consumers are the vouchers many had purchased as Christmas presents as it’s feared these will not be redeemable and the money will be lost. One Hein Gericke staff member phoned MCN but didn’t want to be named. He said: “We have been told all 16 shops are shutting down, all of us have lost our jobs and that’s the end. It also appears some Hein Gericke staff in the UK have not been paid for the past two months. 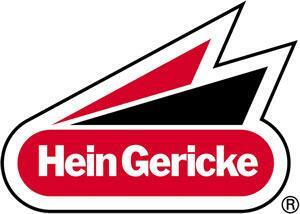 Hein Gericke GB is part of the same German group as Hein Gericke GmbH; the parent company which was bought by General Equity Group AG which is based in St Gallen, Switzerland at the end of 2012. This latest insolvency means 164 employees in Germany and 85 shops across Europe have been shut down. There are 54 shops in Germany which remain open until further notice. A statement from the parent company Hein Gericke GmbH states it is working hard to find new finance and potential new investors. No one from Hein Gericke was available to comment as MCN reached deadline.